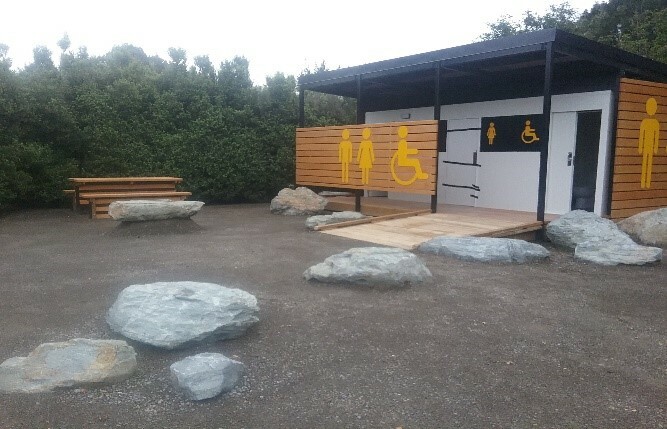 At our workshop, the Nelmac team built a fully portable ablution block containing three separate toilets with internal locking, three opening windows and wheelchair access. It was fitted out with plumbing, hand basins and associated pipework, electrical and toilet related hardware. Once completed, it was transported to the Wairau Valley and installed by our team onto foundations on site. Our team also installed a kitset deck and canopy and landscaped the surrounding area.